Just added to KRR's KISS inspired and parody discography is the latest release by North Carolina's DAUGHTRY which new album features the song "Long Live Rock and Roll". I rocked out all day, and partied every night ...."
Official DAUGHTRY website : www.daughtryofficial.com. November 24 : Bruce Kulick discography updated with 4 new titles .. 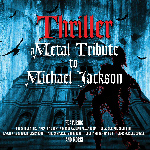 Besides Bruce Kulick guest appearance on "Thriller - A Metal Tribute To Michael Jackson", Bruce Kulick also appeared on a couple of other recently released titles. 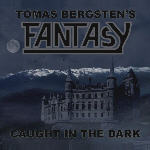 On August 10, 2013 Swedish label 7 Chords in association with CDbaby released "Tomas Bergsten's Fantasy ; Caught In The Dark", which features Bruce Kulick's guitars on the song "What Future Will Bring". Fantasy was a Swedish AOR band active between 1987 and 1990. Tomas Bergsten's Fantasy is a music project with the main purpose of making the songs of that time and before available to the public. 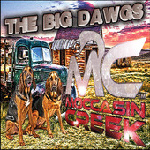 On September 29, 2013 Nashville-based rock band MOCCASIN CREEK released their 4 track EP ""The Big Dawgs". Former KISS/current GRAND FUNK RAILROAD guitarist Bruce Kulick has contributed a guest guitar solo on the track 'Friends Of All Kinds', a groove oriented rocker that tackles the subject of racial prejudices in the US. The EP is available on compact disc (only 500 copies made) and as digital download at iTunes and Amazon.com. 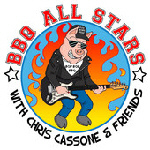 An official video of the song 'Friends Of All Kinds' can be seen on YouTube CLICKING HERE. Bruce's solo starts at the 3 minute mark. On October 12, 2013 Swedish label Platform West in association with CDbaby released "Dreams in the Witch House - A Lovecraftian Rock Opera". Bruce Kulick contributed guitar on the songs “Signum Crucis” and “Nothing I Can Do”. 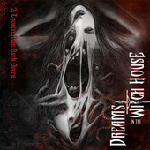 Dreams in the Witch House is a Hard Rock musical Concept Album fusing Cosmic Horror, Symphonic Metal and Radio Theatre, adapted from H.P. Lovecraft's horrifying tale, "The Dreams in the Witch House" (1933). The albums is available as digital download (iTunes, Amazon.com, CDbaby), compact disc and as a Violet Vinyl Gatefold LP Album. Rock journalist Daniel Siwek and Bruce Kulick did discuss the fusion of epic rock and cosmic horror on August 20th, 2013 during an interview in Burbank, California. And finally, Bruce Kulick did all the guitars on Andrew London's "When I Saw Your Ghost", which song is released as a single on iTunes November 11, 2013. 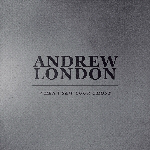 Currently the song is also available as a FREE DOWNLOAD at AndrewLondonMusic.com. 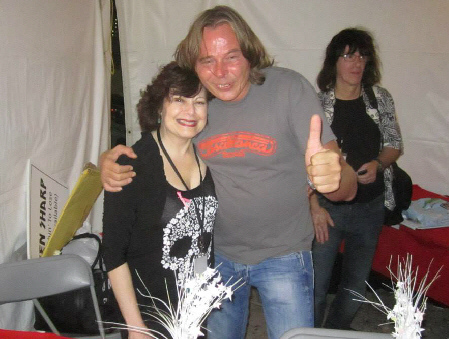 November 20 : Old Vinnie Vincent material to surface ? The "Joanie Loves Chachi" show is slated for release on DVD in early 2014. The "Complete Series" should include the episode, "One-on-One," which Vinnie was credited as a co-writer (with musical director Bennett Salvay) for the song performed by Scott Baio. Vinnie was a staff song-writer prior to hooking up with KISS as they attempted to record the album that became "Creatures of the Night." Frehley recently spent time in the studio with drummer Matt Starr (BURNING RAIN) and bassist Chris Wyse (THE CULT, OWL) working on Ace's new CD. An early 2014 release is expected. When Ronnie Montrose passed away on March 3, 2012, friends and musicians immediately wondered what they could do to pay homage to one of rock's all-time legendary — and influential — guitarists. 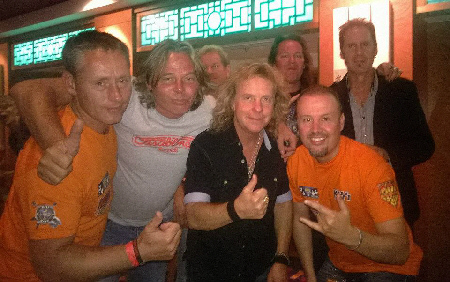 The result was some of music's most renowned artists uniting for a concert only a month and a half later (April 27) and performing Ronnie classics throughout the evening — which will now make its official DVD release on December 10, 2013, "Concert For Ronnie Montrose - A Celebration Of His Life In Music". Recorded in San Francisco at the historic Regency Ballroom and mixed in 5.1 Surround Sound, the DVD features performance by Ronnie's past band members in MONTROSE (Sammy Hagar, Denny Carmassi, Bill Church with Joe Satriani), GAMMA (Davey Pattison, Denny Carmassi and Glenn Letsch with Marc Bonilla), performing both groups' hits. 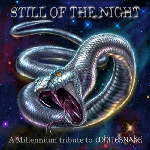 Additionally, Ronnie's colleagues and people he mentored and produced over the 40 years of his career are featured as well, including Neal Schon (JOURNEY), Ricky Phillips (STYX), Steve Smith (ex-JOURNEY), Ed Roth, Jimmy Paxson (STEVIE NICKS), Jeff Watson (ex-NIGHT RANGER), TESLA, Eric Singer and Tommy Thayer (KISS), Eric Martin (MR. BIG), and more. The DVD will also include interviews, bonus features, a photo gallery, and an additional set of Ronnie's hits by an all-star band featuring Chuck Terpo, Mario Cipollina, Tal Morris, Dave Meniketti and the members of Y&T. This was recorded and filmed at Bob Weir's TRI Studios. The iconic and legendary Ronnie Montrose has been called the Father Of American Hard Rock — an innovator and an incendiary guitar genius. In his short time with VAN MORRISON, Ronnie created the iconic guitar riff for the classic song "Wild Nights". In the EDGAR WINTER GROUP, he left even a bigger mark with his catchy heavy-handed riffs on songs like "Free Ride" and "Frankenstein". But it would be his self-titled release, "Montrose", that would become the cornerstone of American hard rock. This debut in 1973 crafted such classics as "Rock the Nation", "Bad Motor Scooter" and "Space Station #5". It laid the groundwork and became the template for bands like VAN HALEN and countless subsequent musicians. His musical journey lead him to the creation of GAMMA where he crafted songs like "Voyager", "Thunder And Lighting" and "Ready For Action". Ronnie was always searching and reinventing himself musically. Venturing through a brief instrumental period, he brought us both "Open Fire" and his masterpiece version of "Town Without Pity". 4-27-12 The Regency Ballroom San Francisco, CA. feat. Tommy Thayer and Eric Singer. 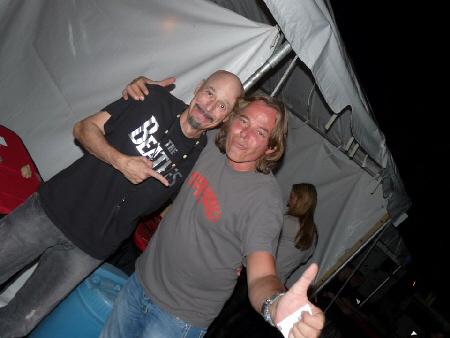 Prior to The KISS Kruise, I finally met Lyn Christopher and Bob Kulick, see pictures below. All these good memories came to an end, when I received an official letter yesterday from a lawyer company who represents my favorite band and KISS Catolog Ltd. According to this letter unauthorized infringing (“bootlegged”) products listed at my websites www.kiss-related-recordings.nl and www.wegotyourrock.com are / were (also) listed, advertised and promoted at www.kissbootlegged.com. If I do read that well (? ), it suggests that I’ve (probably) released KISS (and/or related) bootleg vinyls, CD’s and/or DVD’s, which I did not !!! Of course there are some essential bootleg KISS related vinyls and compact discs listed at www.kiss-related-recordings.nl, but none of these titles are for sale !!! Kiss Related Recordings is not complete without mentioning pre KISS WICKED LESTER, the first vinyl bootleg release of FREHLEY's COMET (prior to his Atlantic / Megaforce releases), PAUL STANLEY's 1989 solo Tour, and any other unreleased KISS and related demo song.. But again, these kind of compact discs and vinyls, as well as other demo recordings are NOT FOR SALE HERE !!! 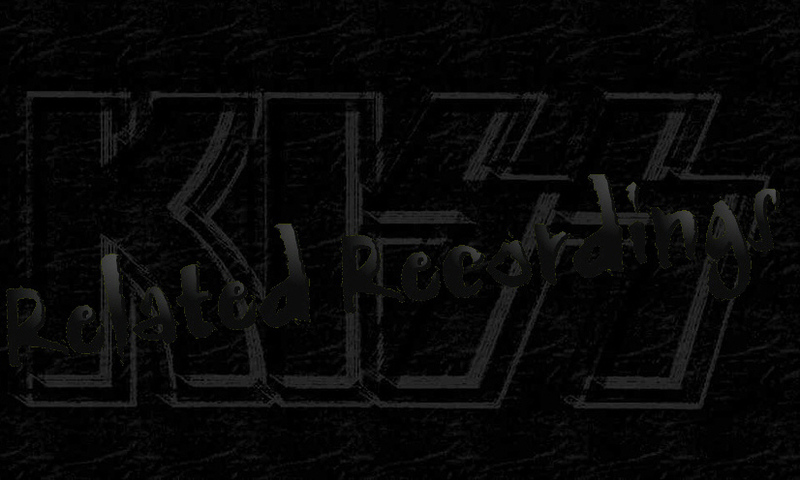 Since May 1997 www.kiss-related-recordings.nl is a reference / informative website only !! June 2005 : Julian Gill’s www.kissfaq.com and www.kiss-related-recordings.nl starts a joint-venture. From then on the KRR website also can be found at www.kissfaq.com/krr. 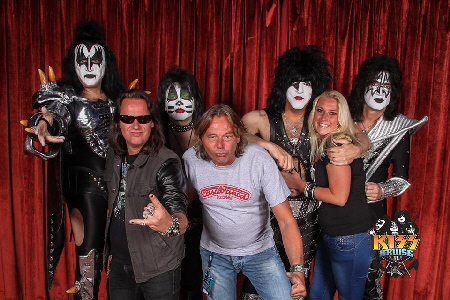 To understand what www.kiss-related-recordings.nl is all about, Mike from Argentina did an interview with me August 2008 : READ THE INTERVIEW CLICKING HERE. None of the material presented at www.kiss-related-recordings.nl is for sale, except for some official releases, as released by official Record Companies … simply because I’ve replaced the vinyl for a CD, or because I like to replace the original CD for a more recent reissue with bonus tracks... If that happens, it will be listed at www.wegotyourrock.com. Also www.kiss-related-recordings.nl links to www.amazon.com or www.cdjapan.co.jp where you can directly purchase the compact dics listed on this discography site. Besides that www.kiss-related-recordings.nl always try to link directly to the record company where you can purchase the release(s) listed on this site directly from the Record Company itself. In case of www.wegotyourrock.com : here I sell parts of my private music-, magazine-, (Tour)book- and t-shirt collection. This whole situation slurps much energy from me, I hope to come back soon with news on more KISS Related Releases ... Thumbs Up !